7/2/19 : Thursday 7th February is ‘Time to Talk Day’ at TClarke. Mental Health issues affect one in four of us, yet people remain afraid to talk about it. TClarke has decided to act in a practical way to address this. 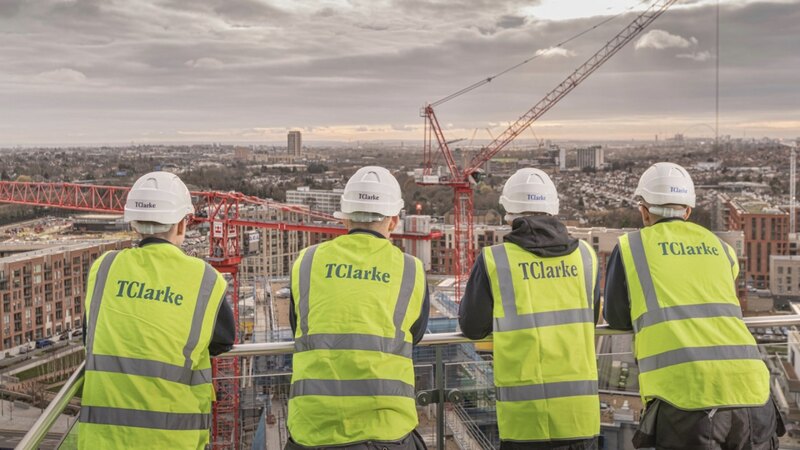 The focus this year is on what anyone at TClarke should do if they have a mental health issue – either before or after they have attended The TClarke Mindfulness and Wellbeing course, which has been launched in recent months. The Time to Talk Day has been organised by Marc Bailey who introduces the concept. This years’ Time to Talk Day is all about bringing together the ‘right ingredients’, to enable a conversation about mental health (stress or anxiety). Whether or not you decide to ‘open-up’ and talk in the tool box forum or at lunch over a tea and a biscuit with close friends or in a room full of people; challenging mental health stigma through conversation is imperative, engagement is imperative and that’s why we want people to get talking and healing. Having conversations and ‘opening-up’ about mental health, helps to address the perceived stereotypes (of who is affected), improve relationships, aid recovery and take the stigma out of something that ultimately affects us all. There are lots of different ways to have a conversation about mental health. And you don’t have to be an expert to talk. Talk; talk about the weather, fashion, football if you need to, however as you are talking try to open-up a bit! If you are in a group, this may not be so easy, and you may choose to ask if you can talk to someone on a one to one basis. Who should someone talk to? We advise our staff that however they do it, they should make sure they have a conversation about mental health on this Time to Talk Day. We advise our people to speak to a friend, colleague or manager, even if it is just to comment on whether or not they think that spreading the word and talking openly about mental health issues is a good or bad idea! Time to Talk Day is a once a year offering and does not replace the Mindfulness Class (MC) offered by TClarke. This MC offers the techniques and tools to manage your anxiety and stressors and neutralise them at source. The key technique is ‘Square Breathing’ which helps to relieve the mind of stress and improve your wellbeing. At the same time as we are introducing the Time to Talk Day, we’re also introducing our nationwide network of first aiders so that we have people around the business ready to listen whenever someone wants to talk.